Cinamatic, the video recording, editing and filter app from Hipstamatic, now gives you the option to shoot footage in a widescreen 16:9 format. Whereas before the app was focused on square-crop videos, similar to Instagram and Vine, it now appears to be targeting a more professional or enthusiast audience. Not only can you shoot in 16:9, but you can also export your finished videos to YouTube and Vimeo – two sites tailored for this aspect ratio. Hipstamatic says the app has breached the 1 million user mark, which suggests it’s slowly gaining traction amongst the iOS community. 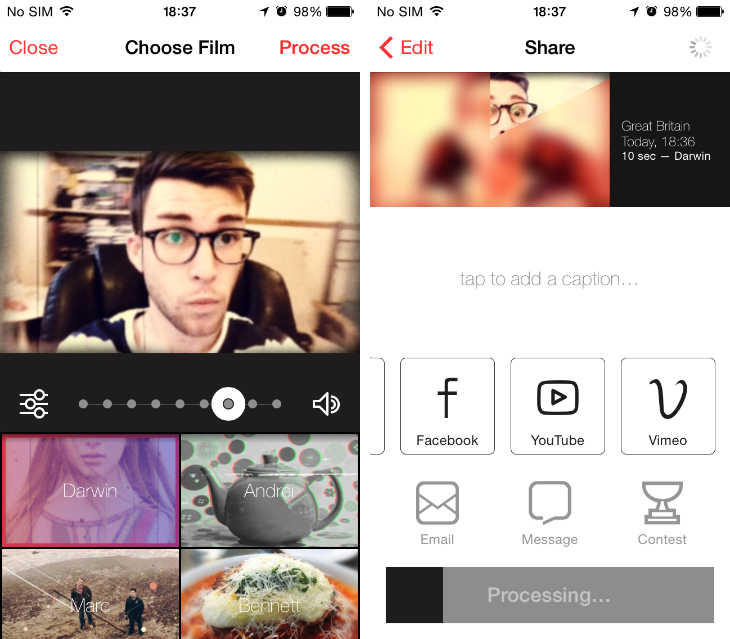 Both Vine and Instagram now sport robust editing features though, as well as the ability to import videos from the Camera Roll – it’s hardly surprising, therefore, to see Cinamatic spread its chips and cater to other video-sharing platforms.